Tiff has been with Hollies Day Nurseries since 2008. NVQ Level 3 in Childcare, Learning and Development, Paediatric First Aid, Food Hygiene Level 2, Safeguarding and Child Protection. Tiffany is also our nursery SENDCO (Special Educational Need & Disabilities Coordinator) and working towards her Degree in Early Years & Young Person. NVQ Level 3 in Childcare, Learning and Development, Safeguarding & Child Protection, Paediatric First Aid, Food Hygiene Level 2. 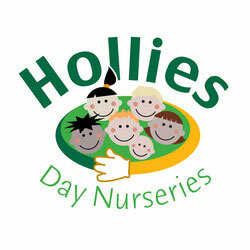 Kim has been with Hollies Day Nurseries since September 2015. NNEB Diploma in Childcare, Learning and Development, Paediatric First Aid, Food Hygiene Level 2,Safeguarding. Gemma joined Hollies Day Nurseries in March 2014. NVQ Level 3 Childcare Learning and Development, Cache Level 2 in Childcare and Education. Paediatric First Aid, Food Hygiene Level 2 and Safeguarding and Child Protection. Completed Equality and Diversity training Level 2. Amy joined Hollies Day Nurseries in October 2014. Qualifications: NVQ Level 3 in Childcare, Learning and Development, Paediatric First Aid, Safeguarding & Child Protection. Food Hygiene Level 2. Claire joined Hollies Day Nurseries in March 2013. NVQ Level 3 Childcare Learning and Development, Cache Level 2 in Childcare and Education. Paediatric First Aid, Food Hygiene Level 2 and Safeguarding and Child Protection. NVQ Level 2 in Childcare Learning and Development. Working towards NVQ Level 3 in Childcare Learning and Development, Paediatric First Aid, Safeguarding & Child Protection and Food Hygiene Level 2. NVQ Level 2, Working towards NVQ Level 3 in Childcare Learning and Development, Safeguarding & Child Protection. Food Hygiene Level 2. Hayley joined Hollies Day Nurseries in September 2018. Chloe joined Hollies Day Nurseries in September 2018. NVQ Level 2 in Childcare Learning and Development, Working towards NVQ Level 3, Safeguarding & Child Protection.Food Hygiene Level 2. 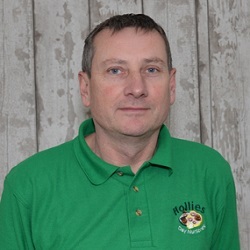 Lynne joined Hollies Day Nurseries in 1998. 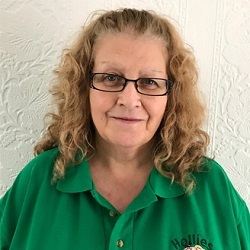 Pam has worked at Hollies Day Nurseries since September 2018. Pam has experience in the cleaning industry and has completed courses including COSSH and Health and Safety.